Visionary physicians and patients born before 1950 are leading the way on how best to incorporate KAATSU to combat sarcopenia and address a host of other health issues. A 104-year-old female patient in Kawasaki, Japan shows what is possible with KAATSU under the guidance of her physician Dr. Odagiri and KAATSU inventor Dr. Sato. 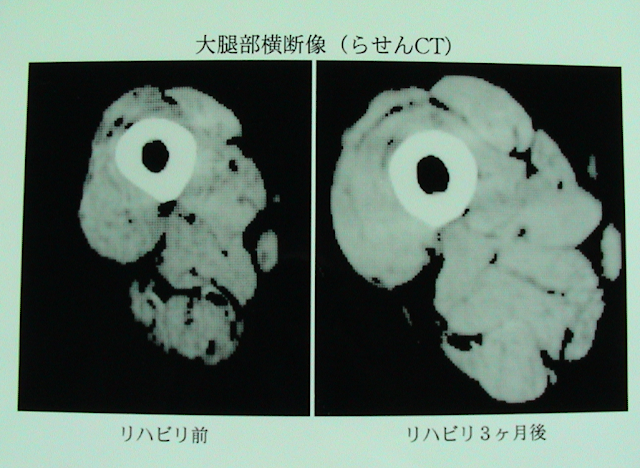 The video above was presented by Dr. Odagiri at the first KAATSU Training Symposium held in Tokyo, Japan in 2005. The patient was bedridden and uncommunicative for two months with severe dementia. She was transferred from her local hospital to Odagiri Hospital where she was treated with KAATSU. Initially for the first month, she simply did KAATSU Cycle as she remained in bed. Gradually, she became communicative and was able to get out of bed. Eventually, over the course of two months, she was able to do a variety of exercises and found herself wishing to live to be 200 years old [see video above]. During the video, she was asked how old she is and she answers as 104, holding a document confirming her age and birth date. She is shown doing a variety of exercises with her KAATSU Air Bands on (120 Optimal SKU level). For a brief explanation of the mechanisms involved in doing KAATSU among elderly patients, visit here.